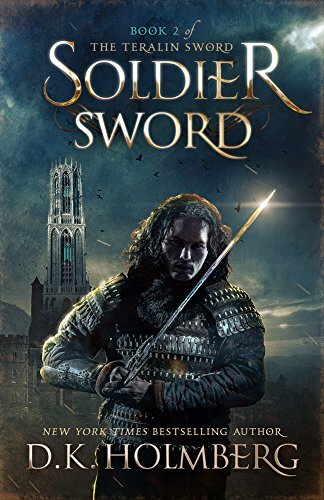 Second book from the series (first book reviewed in my previous post) and just as good. The immersion from first book was regained quickly despite the slower start. Endric tries to learn as much as he can about the things that caused even of the first book but it seems that no one wants him to know much. The traitor from first book is hiding somewhere with almost no way to lure him out, information about anything that could help him understand is hard to get and if there is one good thing it’s that Endric is getting better in his combat skills. His part in events of the first book earned him a promotion but many think that it’s just because he’s son of the general and respect is something he can’t seem to gain or understand how to get it. Then, Endric is sent to investigate a threat he wanted to investigate in the first book but that means becoming further away from the traitor or being able to learn anything. All is connected, though, and Endric becomes in the center of the traitor’s complex plot, once again leaving him to hard decisions while knowing little. Eventually Endric will learn about his abilities (hinted by the end of first book) and even using them. That’s probably where I end to avoid spoilers. If I was reluctant to give 100% to the first book of the series, now I am not.